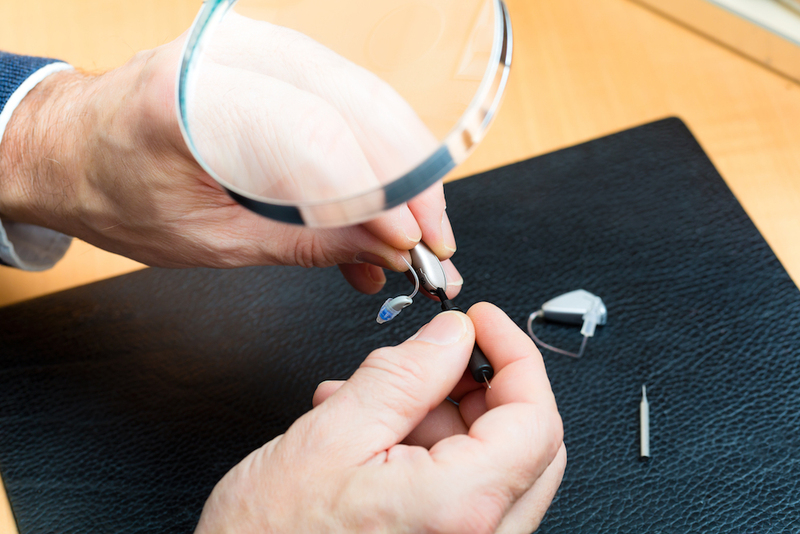 When your hearing aid isn't working as it should, you need to repair it as soon as possible. It helps you to hear properly and without it, you can feel lost. Some basic issues are easy to figure out at home, while others need professional help to repair. If you need to repair one or both of your hearing aids, you might have a few questions about what will happen. Your hearing aid will be in safe hands with a professional audiologist, who can either make sure it is repaired on site or sent somewhere approved to fix it. How do I know if my hearing aid needs to be repaired? The first thing you need to work out is whether you need to have your hearing aid repaired or not. Sometimes, you might think that it's broken but it's actually very easy to fix the problem. You can do some basic troubleshooting to see if the issue is simple to fix. For example, check that your hearing aid is definitely turned on and see if it needs a new battery. You could even have accidentally put the battery in the wrong way. Check the volume and make sure that your hearing aid is clean too. Can I repair my hearing aids myself? If your hearing aids aren't working, you might be wondering whether you can fix them yourself and if you really need a professional to repair them. While you can check for simple problems and take care of them yourself, as well as keep your hearing aids clean, there are some repairs that you can't do at home. If you've tried all of the basic troubleshooting, it's probably time to get your hearing aid looked at by a professional so that they can fix it. Will my settings be changed during repair? Many people have preferred settings and programs saved in their hearing aids. You might worry that having your hearing aids repaired might mean that you lose those settings and have to program them in again. Fortunately, having your hearing aids repaired won't usually affect your programs. If a new amplifier is needed, your settings could be transferred over to the new one. Talk to your audiologist about whether your settings will be affected when your hearings aids are repaired if you're concerned. When does a hearing aid need to be replaced? Sometimes, a replacement could be a better idea than a repair. However, it can depend on the extent of the damage and how much it might cost to do repairs compared to a full replacement. If your hearing aid has been chewed up by your dog or crushed under a shoe, it might not be salvageable, but there could be some circumstances when it can be rescued. If you keep having to repair your hearing aid or you just want to upgrade to something newer, a replacement might be a better idea. If your hearing aid isn't working, bring it to your audiologist to diagnose the problem and repair it.